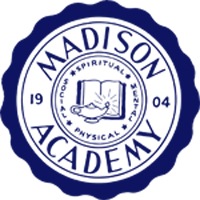 The Student Association is hosting the annual Scavenger Hunt in the Madison Academy gym beginning at 8pm. This is a class competition that involves not only the students and staff but includes parents as well. Each class brings items from home and school and spreads them out in one of the four corners of the gym. In the center of the gym the announcer will call for an item. Each class will look through their stuff and pass it to the runner who will then take it to the table in the center of the gym. The first class to get the correct item to the table earns one point. If the class runner has the exact item they earn one point. If the class has the correct item category they earn one point. For example, if a state quarter–Tennessee is called each class that brings that item to the table will earn one point for a state quarter, one point if it is a Tennessee state quarter, and one point if the class is the first to place it on the table. There is a time limit to find and bring the called items to the table. At the end of each round is an untimed event, such as who can drink a bottle of water the fastest. Also during each round in random places classes are called to create a pyramid: a base of four, then three, then two, then one who will raise their hands to show they are done. There are many rounds and each class usually is close to the lead for a time. After each round the standings are announced to indicate how many points a class earned in the competition to that point. At the end the final standings are given and a winner of the scavenger hunt is announced. Not only do students and sponsors participate in running but parents can do so too. The parents have a key role to play in the event just by showing up. The SA awards Spirit points to students and parents that participate in this event. Record is taken at 8pm and those who are at the gym are awarded spirit points for their class. At the end of the school year the class that has the most spirit points is given a $350 prize.